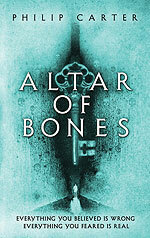 Altar of Bones has gone into a second printing! Altar of Bones is No. 28 on the New York Times Bestseller list for the week ending March 19. Altar of Bones receives a starred review in Booklist: "Comparisons to Steve Barry, Dan Brown, and James Rollins are inevitable and not unmerited. But Carter's Altar is anything but derivative. A corkscrewing, looping, roller coaster of a reading experience, it definitely belongs in the hands of thriller readers who crave speed." UK (May 2011) VIEW TRAILER! "Since ancient times, Siberia has been home to a tribe of magical people. They have guarded the Altar of Bones, keeping its secrets safe. Now the grandmother whom Zoe Dmitroff thought was dead passes that legacy to her, making her the immediate target of assassins. 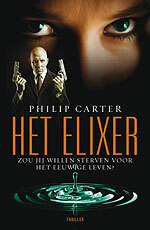 Zoe is repeatedly saved by ex-special ops agent Ry O'Malley. Ry's father's dying words about the "big kill" and the murders of his brother and Zoe's grandmother connect everything. Someone wants them dead before they determine how and why. Add in riddles, a Russian icon, a hidden cave, the most famous assassination conspiracies in recent history, a fountain of youth, and a dash of Rasputin, and you have a good sense of this debut thriller. VERDICT From a prison camp in 1937 Siberia to the streets of present-day Paris to an underground club in Russia, Carter (a pseudonym for an "internationally renowned author") writes with a "you are there" authenticity. His chase and fight scenes are adrenaline-charged, breath-holding sensations. A worthy contribution to this genre."